Making a crisp is a delicious way to cook with the rhubarb that is in season and plentiful at the grocery stores and markets. Buy a few stalks and chop them up and add them to your next apple crisp. 1. Combine the rhubarb, apples, lemon, water, 1/2 cup sugar and cinnamon in a mixing bowl. 2. Combine the oats, flour, pecans, 1/4 cup sugar, salt and butter in another mixing bowl. 3. 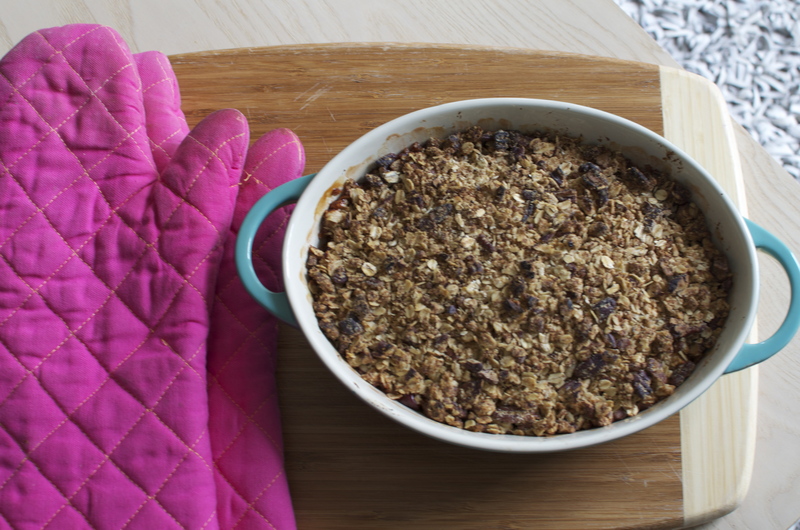 Transfer the rhubarb and apple mixture into a baking dish and top with the dry ingredients. 4. Bake in the oven until the apples are soft and the topping is crisp about 35-45 minutes. 5. Serve with vanilla ice cream if you dare. 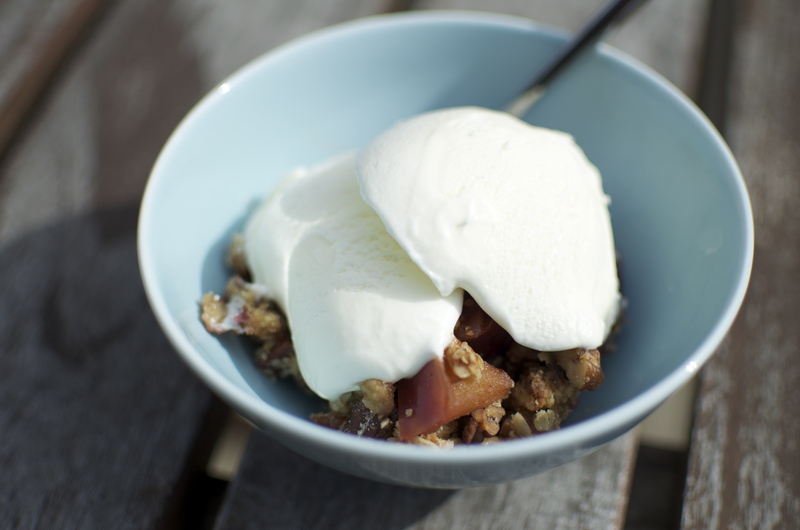 You are currently reading Rhubarb & Apple Crisp at Coriander Kitchen.